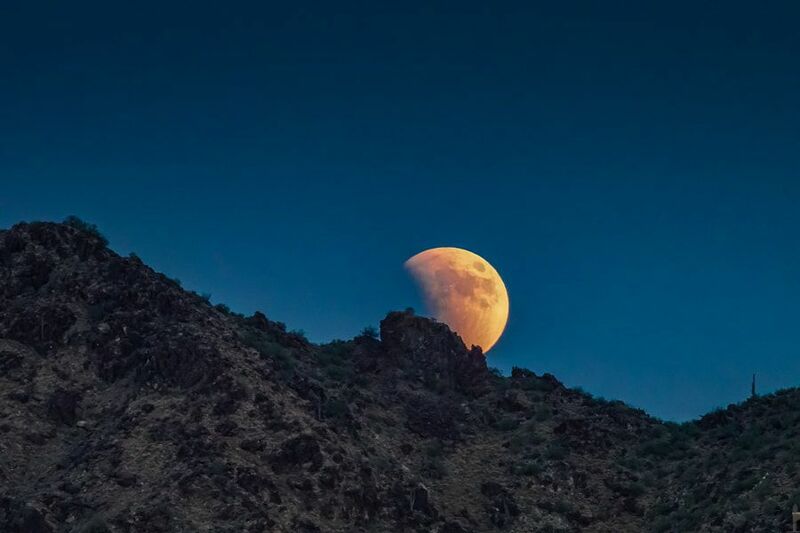 Sonoran Blood Moon – Photography by Pat Kofahl - Together, We Make Memories! A lone Sahuaro Cactus bears witness to the Blood Moon as it rises over the Sonoran Desert and enters the Earth’s shadow, creating a total lunar eclipse. The entire process lasted for several hours, and we were fortunate to have clear skies for the entire event. It was an amazing opportunity to enjoy this incredible bit of celestial mechanics.This fine art image by Pat Kofahl is available in multiple sizes on paper, canvas, metal and plexiglass. Prices start at $49.00!